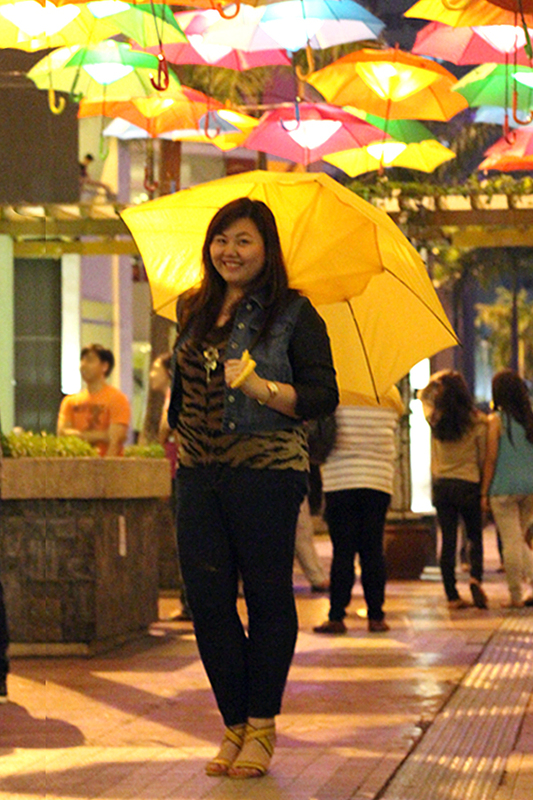 Since it's always raining recently, this yellow (umbrella+lantern) umbrellantern, as I'd like to call it, couldn't have come at a better time. It protects you from the rain and provides light too! Having it match my yellow shoes doesn't hurt either! Haha! Why hasn't anyone made this available in the market yet? Rocking pleather, huh? This is a very nice outfit you've put together. Looking wonderful here! You look so sunny even if the weather may not be. I think that is very cool. Great outfit! Abi awesomeness again. I love your wedge. Perfect for a rainy day when you dont want to ruin that new pedi. Eastwood looks soo great! 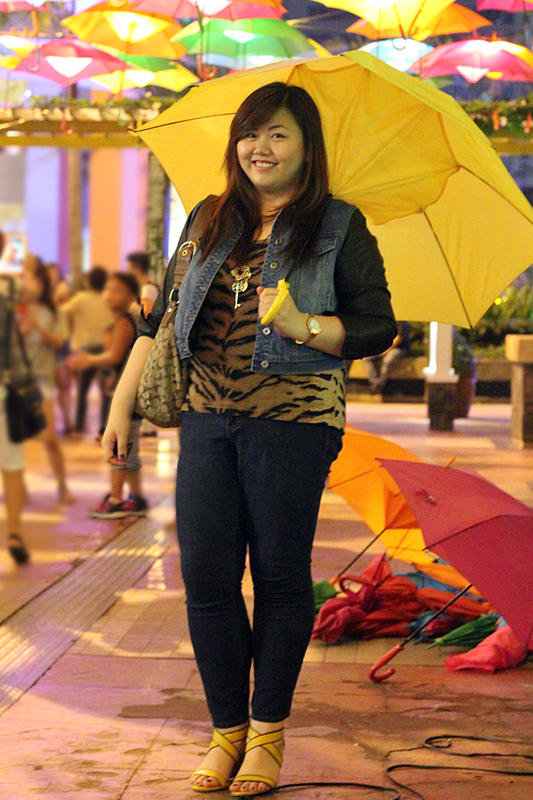 Yup, I love Eastwood's vibe! Umbrellantern! Ahlaveet! Haha! I agree, I love this installation. Kudos to the Eastwood Mall team. Thank YOU for not elaborating how I took your photos. Bwahahaha! Haha! Thank you! Abi, penge rin pala ng photo/s ko. I badly need a new profile pic. Haha! The lanterns are really a great backdrop, so pretty! The outfit is really cute and I'm really liking the jacket and the combination of denim and pleather! What a cool place! Love the umbrellas! Great look I love the mix of the animal print and yellow together! I was going through my old blog posts because my photo host migrated to a new system essentially deleting my photos so I have to manually put everything in again. I saw your comment in one of my posts. Yes, it's me! The same Joei who used to be blog in 2000. It's been a while. Nice that you found me. And yes, I remember your username :) Followed you on GFC! Red bottom? I'll try that! chic shoes!! love love love! I like that animal print on you (wait, did I just sound like Cruella De Ville?). 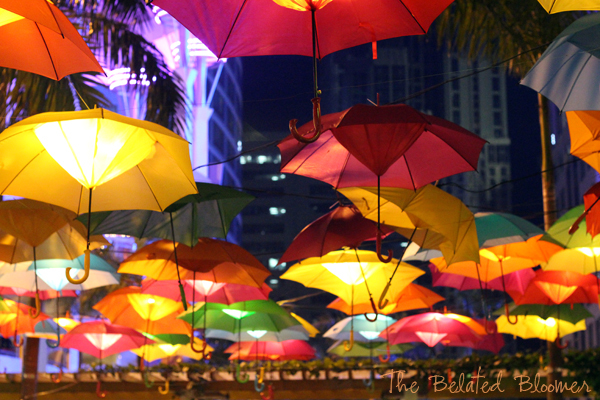 Those umbrellanterns are genius! Are they for sale? HAHA!